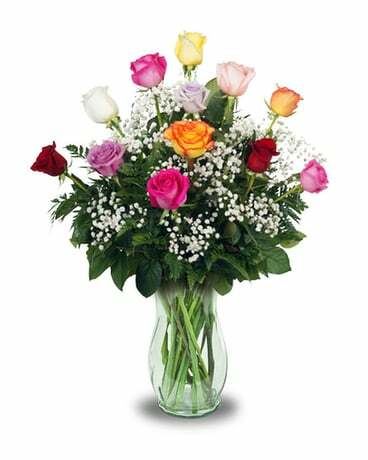 Roses still remain as the most popular of all flowers and we have the largest assortment of colors that you will find in the state. 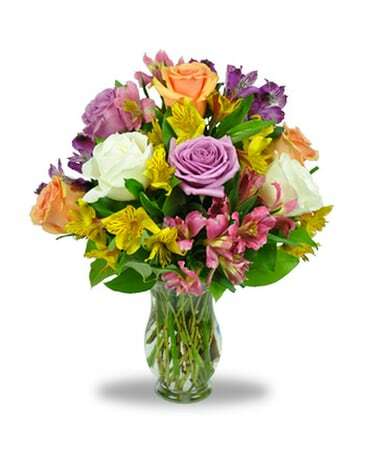 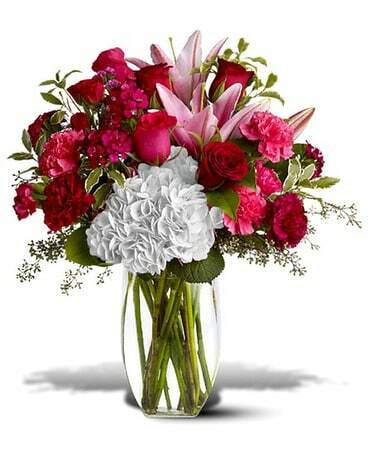 This bouquet features a rainbow assortment of the most beautful colors available and includes beautiful accent flowers. 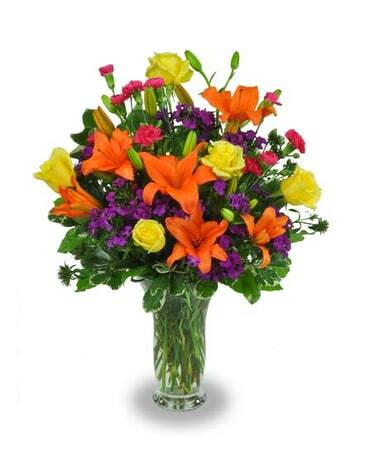 Colors may be slightly different from those pictured but will always include an assortment of the freshed available.